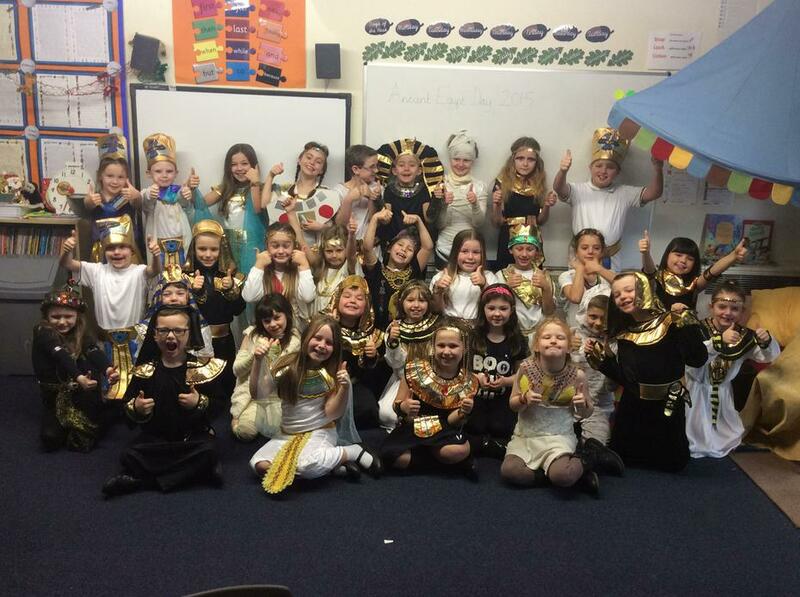 Well done to our Year 3 children who took part in an Egyptian Day last Friday. The day, led by which saw the children and staff come to school dressed in a variety of impressive costumes costume, saw the children take part in a wide range of activities such as making model shadoufs, food tasting and mummy making! The children also looked at ancient Egyptian artefacts, loaned from the Atkinson Art Gallery and Museum and finished the day with the presentation of a dance devised by the children on an ancient Egyptian theme to parents and grandparents. Thank you to Mrs. McInnes for her hard work in putting the day together.